We are United Mustangs of America! 47,000+ wild horses are waiting to be adopted from BLM holding corrals in 10 western states. Our mission is to create homes for these mustangs. We adopt them from the BLM and train them ourselves. 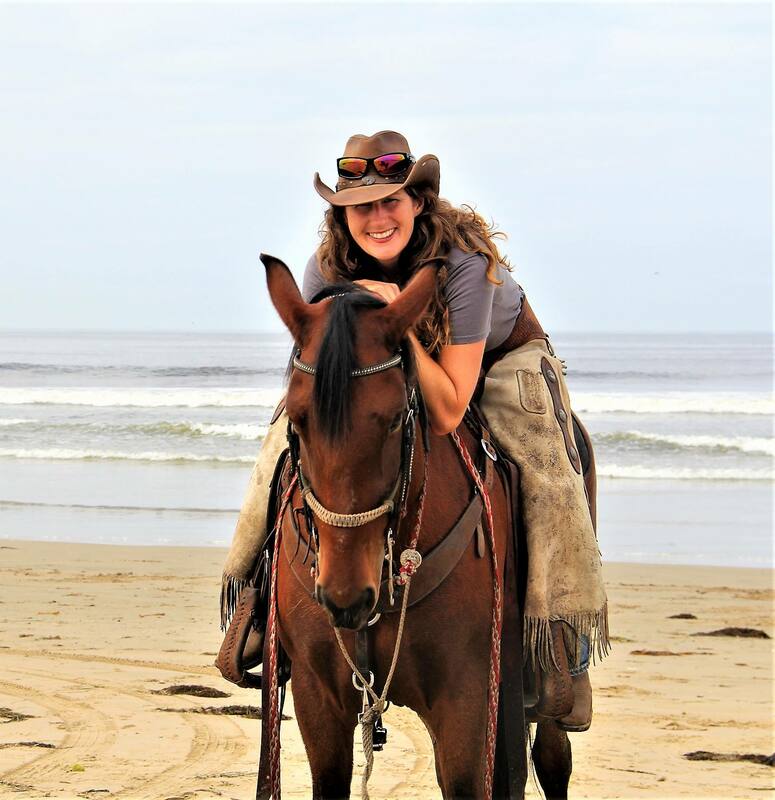 Our coach Monica O. Krause is dedicated to our development in horsemanship. She believes that learning how to train wild horses makes great horseman. 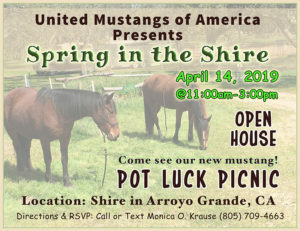 Come learn and work with our rescued Mustangs. These lucky horses are a few that have found a home. If you love horses, come see the mustangs. OUR MISSION Train wild horses and learn horsemanship in the process. WHY To empower people and get mustangs out of BLM holding facilities into qualified homes. HOW We pick out one lucky mustang from the Ridgecrest BLM holding facility to become part of our mustang family. WHAT Education that makes a difference. One mustang at a time. We have a mustang at our education center where you can learn hands on how to train a horse from wild to mild. We also have Monica’s trained mustangs to learn basic horse handling and riding. Become part of the solution! Call Coach Monica O. Krause today! 805.709.4663 Click here to read Monica’s story on SLOhorsenews.net. “Unfortunately, many people do not understand the basic fundamentals when it comes to horsemanship, yet they want to practice reining, jumping, polo, endurance and trail riding etc. It is not their fault. The western states lack a solid world class source of horsemanship education. In 2006, when I first heard of, and adopted my first mustang from the BLM, I saw many unknown, beautiful, and healthy untamed horses. Thirteen years ago, I took it upon myself, with my first mustang, Juno, to learn how to train a horse. Before then, I could win jumping rounds and gallop 40 miles an hour along the coast line, but I never put a first touch or first leg on a horse. At the time, I could not find and individual specifically teaching the art of taming wild horses, in which, I could seek instruction from. I wanted to know the fundamentals on how to train a horse. Right now, there are many many mustangs waiting for us to step it up and take it upon ourselves to gain the knowledge, skill and wisdom to train them to be our partners. I no longer want to see people disempower themselves by taking an untrained horse to a trainer to do it for them. This approach will only empty their bank account and ensure the myth of ‘problem horses’. Empower yourself! Invest in you rather than the horse. Learn horse handling science and horsemanship. You can bring out the best in the horse! P.S. World class horsemanship applies to all horses and disciplines.